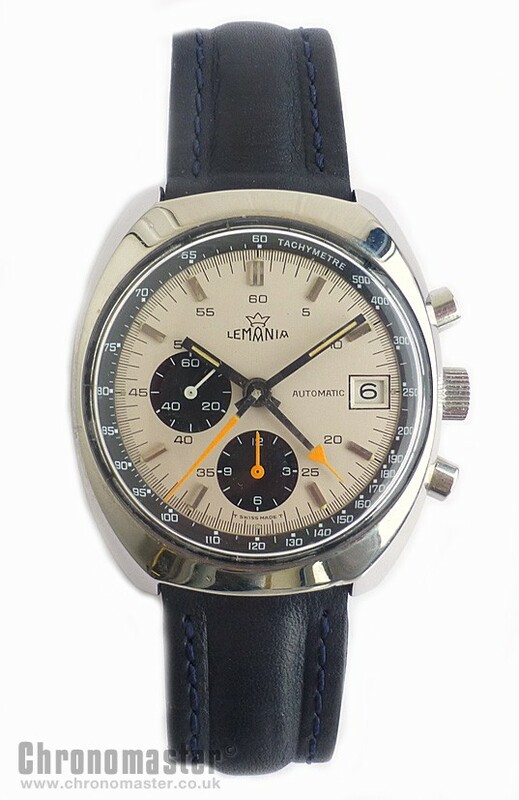 Good condition and practical looking Lemania chronograph. 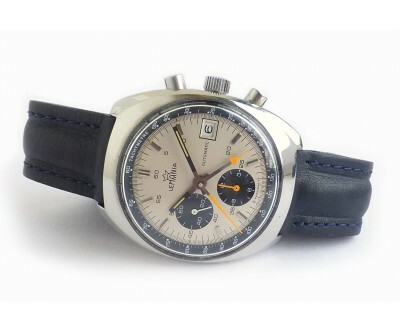 It has a white dial with black sub dials and orange tipped chronograph hands. 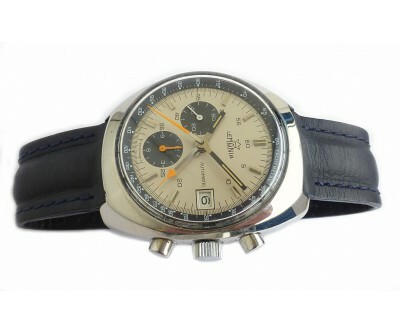 It is an automatic winding watch which dates to the early 1970’s. 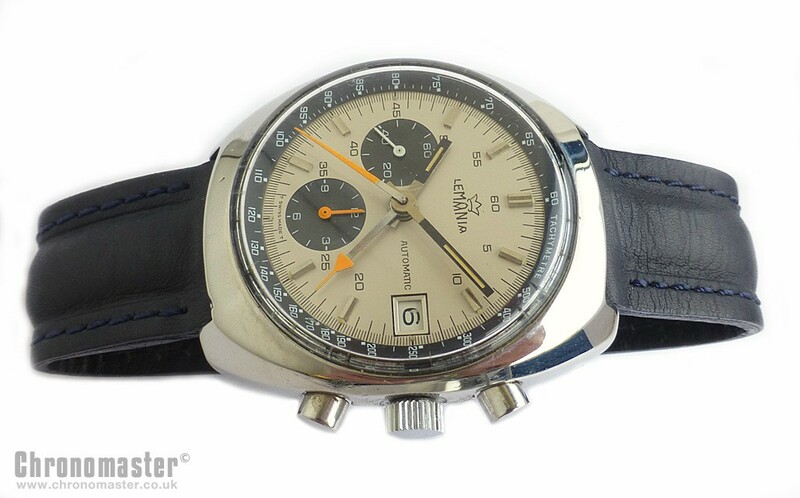 The movement is a Lemania 1340 which was often used in other watches, most notably, the omega Speedmaster Mk IV, they called this the Omega cal. 1040. 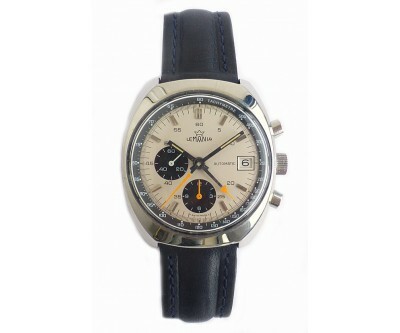 The case is a typical 1970’s type which is high sided and thick, solid stainless steel making it heavy and substantial. 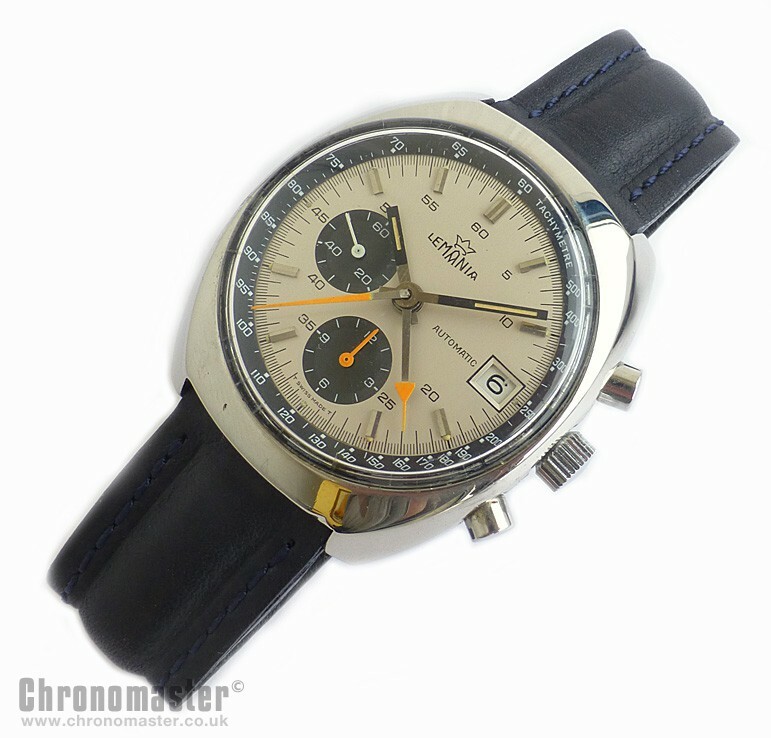 Comes on a replacement leather strap. The movement is such that the winding rotor spins when the watch is wound manually. It should not really be done this way on this type of watch. Has a date at the 3 position and acrylic crystal. 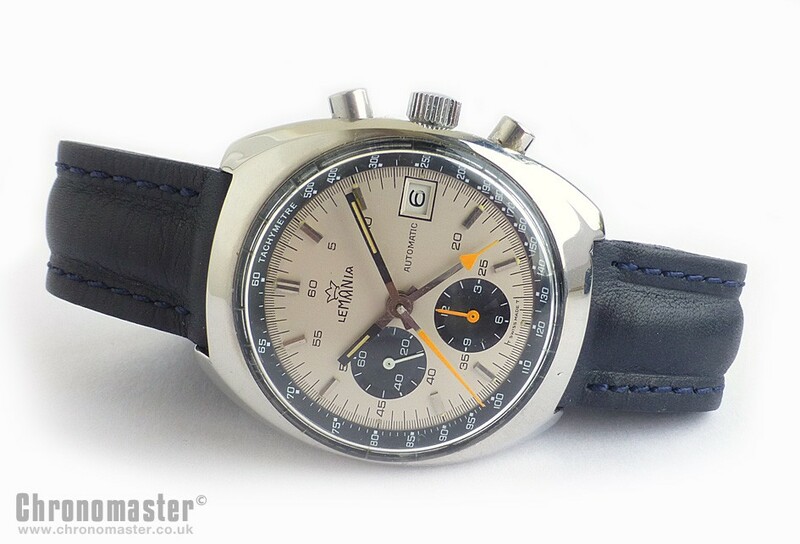 Nice looking good value vintage chronograph. 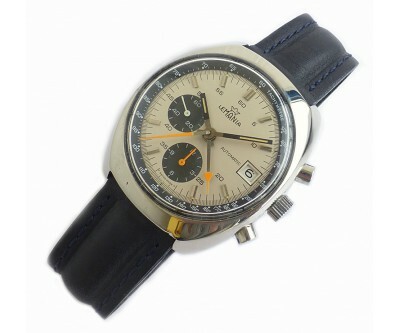 Dimensions are 39 mm excluding crown, 41 mm including crown and 43 mm lug to lug and 15 mm thick.